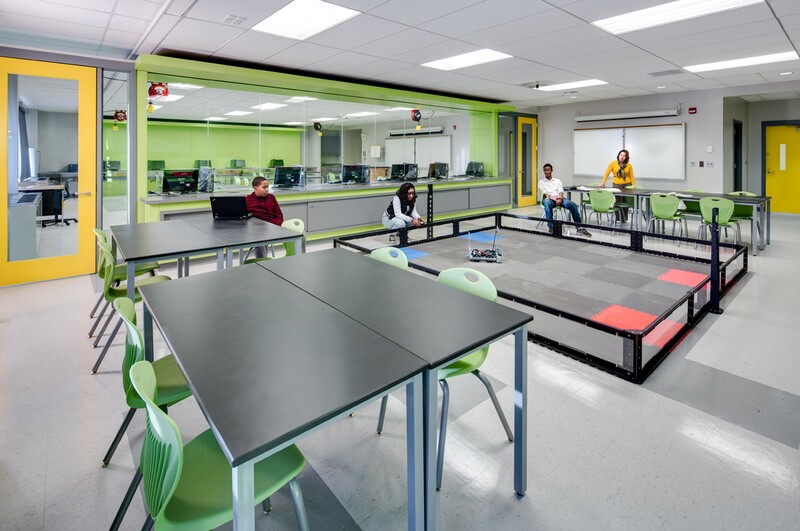 Baltimore City Public Schools Facilities Design and Construction and the Office of Teaching and Learning solicited Design Collective to develop a program and concept design package for STEM Lab renovations to Francis Scott Key Elementary & Middle School. 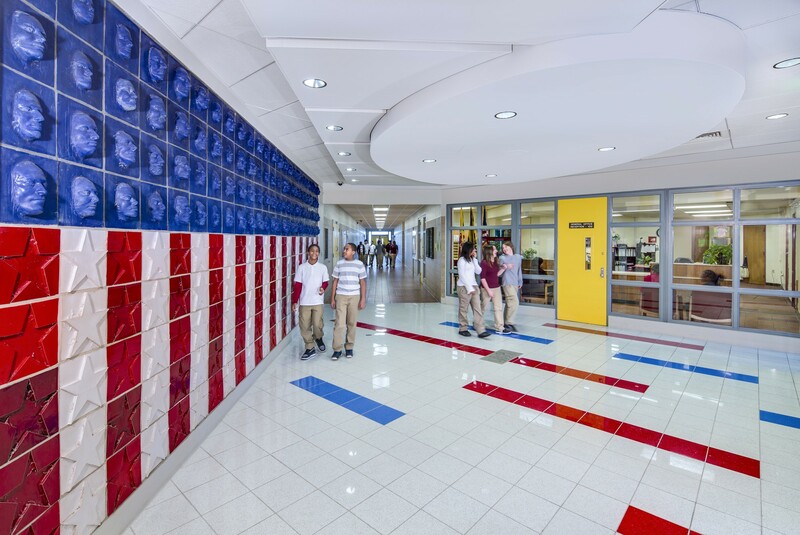 Upon completion of a feasibility study, DCI was commissioned to complete Phase I of the project for the beginning of the 2012-2013 school year. 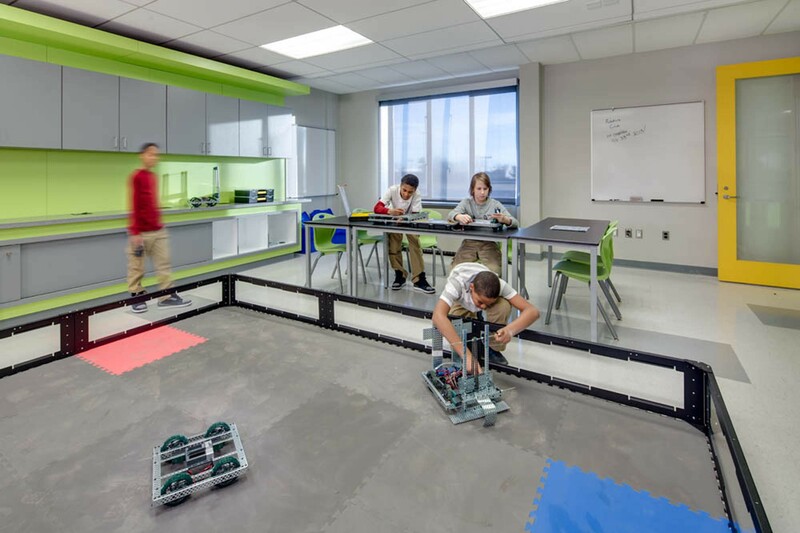 Phase I included renovations to the lobby, public corridors and the renovation of 3,000 SF to house a physical science lab and VEX robotics test track. 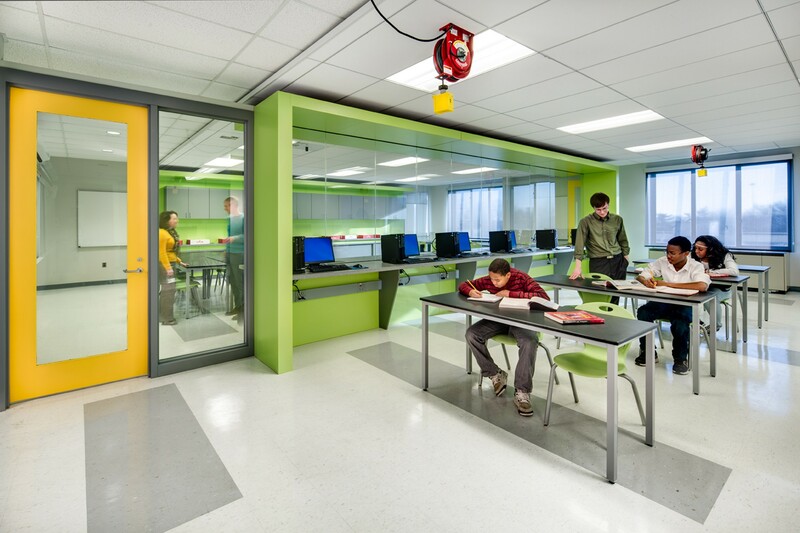 The space also included flexible power distribution, a multi-use classroom with computer kiosks and a flexible teaching wall, test track visually connected to the classroom, but securable, storage rooms, and flexible furnishings for lecture or group/team work. 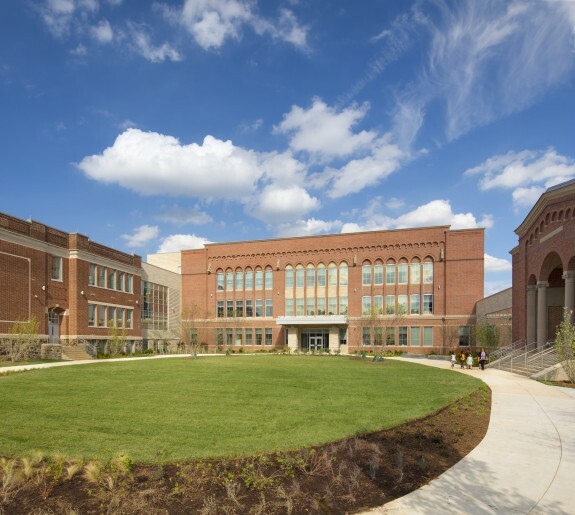 Phase II of the project was recently completed for the beginning of the 2013-14 school year. This project included the renovation of the physical sciences lab in elementary wing, storage room, teacher prep room, flexible furnishings for lecture or group/team work, renovation of the computer classroom in the elementary wing for Lego Robotics lab, elementary feeder program for Phase I VEX robotics lab, multi-use classroom with computer kiosks and a flexible teaching wall, and renovation of the current home economics room into the middle school physical sciences lab, test facility and experiment shop. 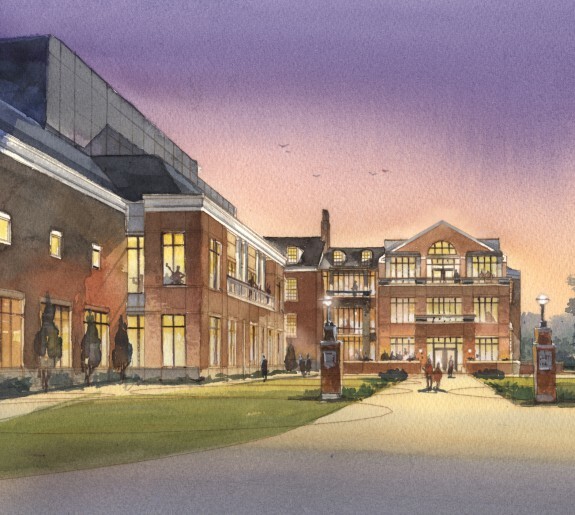 Subsequently, Design Collective worked in collaboration with American Communities Trust, War Horse LLC, J.S. Plant and D.M. 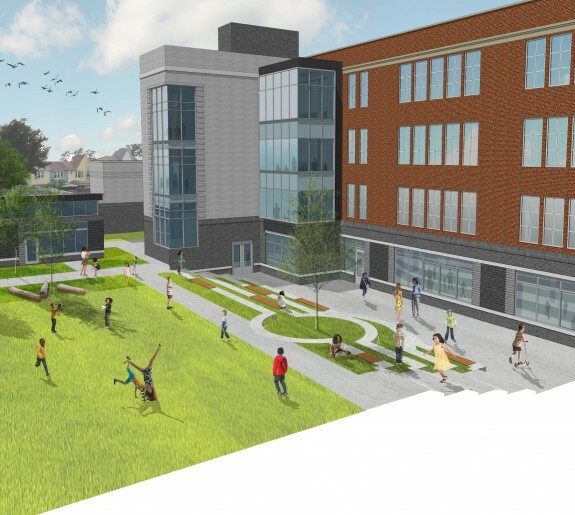 Di Carlo Family Foundation and Baltimore City Public Schools to advance additional improvements to the school cafeteria, faculty lounge, planning room and landscape through private funding. These improvements were also divided into two phases over consecutive summer breaks to minimize disruption to staff and students.